Vehicle shuts off / stalls. Cracked cylinder heads on 4.0L engine. Fuel tank fill tube rusts and leaks. Transmission comes out of park on its own. Vehicle accelerated on its own and the airbag deployed. ABS light came on, causing speedometer to fail. Also, transmission/overdrive light had come on, causing transmission to shift and downshift into low. Seat belt fails to retract. Rear bumper falls off due to excessive rust. Numerous reports of Firestone Wilderness tire failures. Windshield wipers come on by themselves. (Numerous reports] (See a fix HERE). Windshield wipers come on when the turn signal is on. Summary: Certain aftermarket fuel filters sold under the purolator brand name, P/N F65277, shipped from January 16 through June 2, 2006, for use on the above listed passenger vehicles. Due to incorrect design, the quick connectors may not fully seat with the tube interface, even though the person making the connection may believe that the quick connector is fully attached. Consequence: Failure of this connection could lead to fuel spillage and, in the presence of an ignition source, a fire could occur. Summary: Vehicle description: Electric vehicles. The transaxle may have been manufactured with the park detent spring misaligned. If the spring is misaligned, the park mechanism may not engage when the shift lever is placed in the park position. Consequence: If the park mechanism does not engage and the vehicle operator has not applied the parking brake, the vehicle could roll free as if in neutral. Summary: Vehicle description: Certain 1997-1999 RHD Explorer equipped with 4.0L OHV/SOHC engines and cruise control built from May 29, 1996 through March 4, 1999; 1998-1999 Explorer/Mountaineer equipped with 4.0L OHV/SOHC or 5.0L engines or 1998-1999 Ranger equipped with 2.5L, 3.0L FFV/EFI or 4.0L engines and cruise control built from January 5, 1998 through March 4, 1999; 1998-1999 mustangs equipped with 3.8L, 4.6L 2-valve or 4-valve engines and cruise control built from March 2, 1998 through March 4, 1999; 1999 F250/F350/F450/F550 (over 8,500 lbs.) trucks equipped with 5.4L or 6.8L engines and cruise control built from March 2, 1998 through March 4, 1999; and 1999 F-53 stripped chassis equipped with 5.4L or 6.8L engines and cruise control built from March 2, 1998 through March 4, 1999. A cruise control cable can interfere with the speed control servo pulley and not allow the throttle to return to idle when disengaging the cruise control. Consequence: If the cruise control is used and this condition is present, a stuck throttle could result, which could potentially result in a crash. 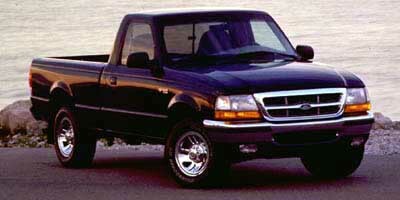 Summary: Vehicle description: Light duty pickup trucks with 3.0L engine. An ‘O’-ring seal in the fuel injection pulse damper to fuel rail joint could be damaged allowing fuel leakage. Consequence: In the presence of an ignition source, a fire can result from fuel leakage.